For those of you who cannot make it to my upcoming sermons, I will be posting my written notes in short sections as I write the sermons. Here is part 1 about how and why Jesus died. The cross was an imperial form of execution. The word for “crucify” in Greek is a verb which means literally “drive in stakes”, and our words “cross” and “crucify” derive from the Latin word for “torture”, cruciare. Criminals, beaten by whips before carrying their medium of death to its final location, were either tied or nailed to a horizontal beam attached to a vertical one, where they hung until the awkward, painful position of their bodies caused them to suffocate. A brutal way to die, Josephus and Cicero considered crucifixion the absolute worst way to be killed. At times, people could hang on crosses alive for days, slowly suffocating. Greek empire adopted it—Alexander the Great was purported to crucify thousands—and later, the Romans used it as capital punishment. Everyone in the 1st century Roman world knew the Romans effected crucifixion as a deterrent against bad behavior or political dissent. They hung people from crosses on frequently traveled highways, on high hills, or at the city gates. For the most part, they left people to hang on these crosses until vultures picked the bodies clean or they rotted to the bones. In Palestine, since Jewish law required corpses to be buried before sunset, the Romans permitted people to bury their crucified loved ones, and they would even break the crucified person’s legs to ensure death before nightfall. Cultural stigma surrounded the use of crosses. Roman citizens considered talk of crucifixion in friendly discourse to be rude and inappropriate. The crucified brought shame upon themselves for meriting such a disgraceful death. In Italy and Rome, specifically, only slaves or freed slaves received death by crucifixion for major crimes such as murder. It earned the title, “slaves’ punishment”. However, every instance of crucifixion recorded by an eyewitness account in Palestine until 66 C.E. resulted from political agitation. Palestine tended toward political unrest and upheaval. To prevent revolution, Roman governors typically slaughtered radical, anti-imperial movements on crosses in droves. Jesus’ crucifixion was no different. Whether he explicitly proclaimed it or not, the Judean leaders found him threatening to their authority. They convinced the Roman governor, Pontius Pilate, that Jesus hoped to usurp Herod, the Roman puppet king in Judea. Their reasons for this were hardly unfounded. Like other movements, Jesus proclaimed the “basileia tou theou” or “kingdom/empire of god”. Other movements proclaiming this same message established themselves as political groups. Jesus hardly seemed different. His death marked him as a shamed political agitator. To proclaim him as the Messiah, a leader who would bring economic justice, national restoration, and liberation would, to anyone at the time, seem remarkably crazy. Messiahs were not crucified, at least not messiahs appointed by the god of Israel. This raises the ultimate question of why Jesus’ earliest and most influential followers would insist on Jesus’ privileged status while maintaining his manner of death; “but we proclaim Christ (the Messiah) crucified, a stumbling block to the Judeans and foolishness to the Greeks (1 Corinthians 1.23).” Their argument carries weight only if they truly believed that Jesus defeated death. If they truly believed Jesus rose from the dead, the shame and the failure of the cross carried none of its power. The ultimate form of Roman deterrence against threats to their authority disappeared, and Jesus’ claim to be the Messiah proved true! When this happened, those who believed went fearlessly into the world to proclaim this message. Of course, the political implications of their message earned them persecution, shame, and death, but what did they care? Ultimately, the Roman Empire showed itself to be impotent in the face of the resurrection. 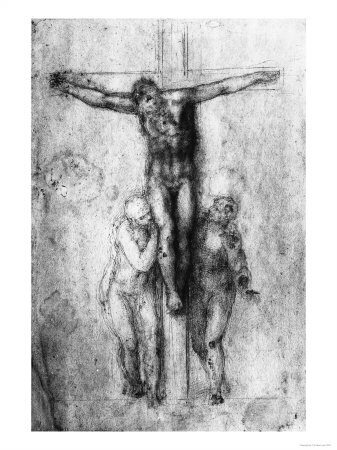 Gallery | This entry was posted in Anti-imperialism, Bible, Christianity, Christology, Easter, G-d, Jesus, Kingdom of G-d, Politics, Politics of the Resurrection, Resurrection, Sermon, Theology and tagged Crucifixion, Jesus, Judea, Messiah, Palestine, Pontius Pilate, Resurrection of Jesus, Roman Empire, Roman governor. Bookmark the permalink.